Before anyone goes back to an earlier post to find our comment that we will never be holding our iPad2 up to take a family portrait. This solution can be fun and can be a serious business solution. It quickly solves the issue where you need a taller or wider image than the iPad2 or iPhone can take. And, it is fully automated! 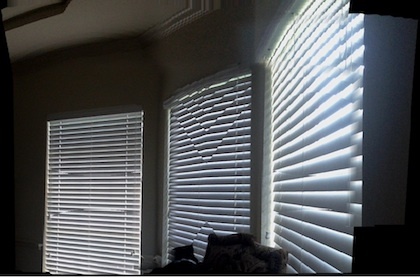 The solution is 360 Panorama. On the iPhone, it is famous for quick photos of the area around you when you in the city, on the iPad 2 it brings the big picture to your meeting notes and project creations. There are several very nice solutions available for creating panoramic images, what makes 360 Panorama stand out is that all you to is move the iPad 2 around and it snaps/stickes the images for you. This makes the app very quick to use. No need to align one image to the previous one or going back to retake a image that is dark or misaligned. Like we mentioned above, the app will run on the iPhone when you need a big view of things like the Grand Canyon. On the iPad 2, you can do the same but most likely you will be using it to get an image that is wider and taller than you can with a single shot, like a conference room or whiteboard image. Launch 360 Panorama, aim the camera and hit the ‘record’ button. 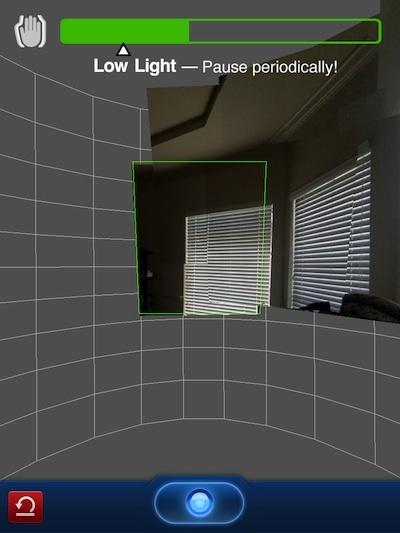 Move the iPad2 around so that the camera points to the full area you wish to record. If the area light is low you will be informed by the bar at the top. In Low Light areas, an image will get take every time you stop moving. 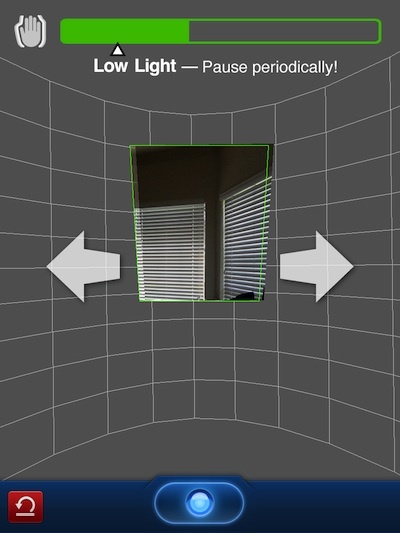 If you have plenty of light, 360 Panorama will auto snap images as you turn. The image can be a full 360 degrees around with more than a image size tall so you can move up/down too. When yo have your image captured, tap the record button again to stop. 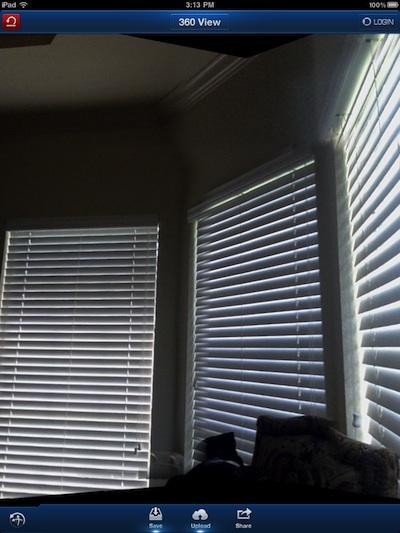 Use your finger to sweep around and up/down to see the whole recorded image. You can tap the ‘restart’ (red) button to do over or choose the button in the lower left corner to enable the ability to tip/twist the iPad to move around your 360 Panorama creation. The finished image can be saved to the iPad Photo Library using the ‘save’ button. Or, if you are looking the panoramic effect of moving the image back and forth with a swipe of a finger, sign up for the developer’s free service. 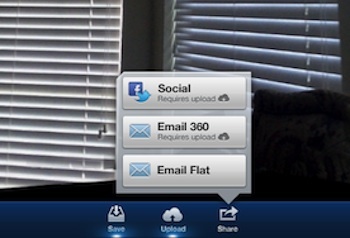 You will then be able to share your 360 Panorama creations on Facebook, email and on their site. Below is the final ‘flat’ output image saved to the iPad Photo Library. You can see how there was a few spots that were miss matched by 360 Panorama caused by moving the iPad 2 around and over lapping images when we went across to the right low and then went up and back to the left. Practice a few times and you will find the right flow that works best for you. We have a couple team members who always seem to get a result that looks like an actual single large image.